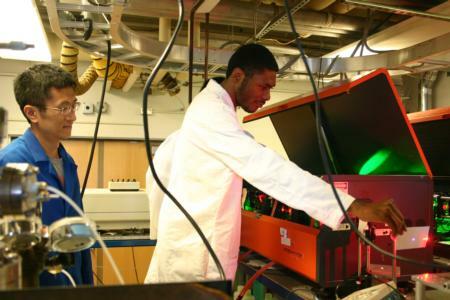 The Atmospheric Sciences Bilateral Graduate Admission Pathways (ASBIGAP) program is a partnership that provides Howard University and UC Davis undergraduates with summer research exchanges and joint mentoring by Howard University and UC Davis faculty. We take a comprehensive approach to student intellectual development through seminars, video conferences, and mentoring to prepare students for summer research and competitive applications to graduate programs in related to atmospheric sciences. Further, because our program involves parallel reciprocal programs on the West and East Coasts, the ASBIGAP program has the potential not only to benefit individual undergraduates and the graduate programs of the two participating institutions, but also to forge long-term connections between faculty, postdoctoral scholars, graduate students, and undergraduates – and thus broaden the research network of the next generation of atmospheric scientists. For more information about the ASBIGAP program, browse these pages or contact Academic Coordinator Carole Hom (clhom at ucdavis dot edu). Photo: storm clouds in Oklahoma, © Kari Peterson 2013.